James Walker’s Supagraf® comprises chemically expanded flake graphite that is calendered into sheets of controlled thickness. It is made without fillers or elastomeric content. • Exceptionally wide temperature range: from cryogenic up to 400°C in oxidising environments and, under certain circumstances, to 2500°C in inert conditions. • Excellent resistance to stress relaxation, even at elevated temperatures. • High levels of joint stability. • Outstanding sealing integrity over extended periods. • Accommodates flange distortions where traditional sheet jointings fail to seal. • Exceptionally low leachable chloride content to resist corrosion. • Totally compatible with steam, air and water. • Recommended for use with heat transfer fluids and demineralised water. 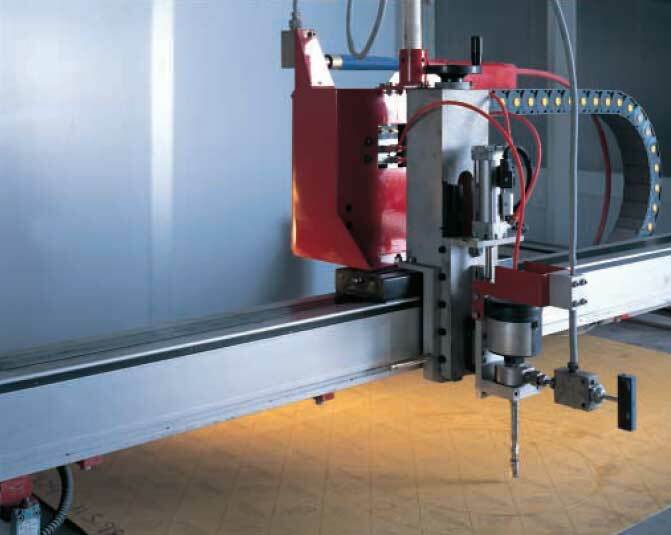 Precision gasket production using state-of-the-art water-jet cutting equipment.